Phuket Top Team Mixed Martial Arts Training Camp is now offering a 1 year all inclusive package for training & accommodation. The gym offers 5/6 classes a day including Muay Thai, MMA, Wrestling in Phuket, Boxing, Brazilian Jiu Jitsu, Submission Grappling, Conditioning and yoga classes. The Onsite rooms mean motivation is only footsteps away, each and every day. 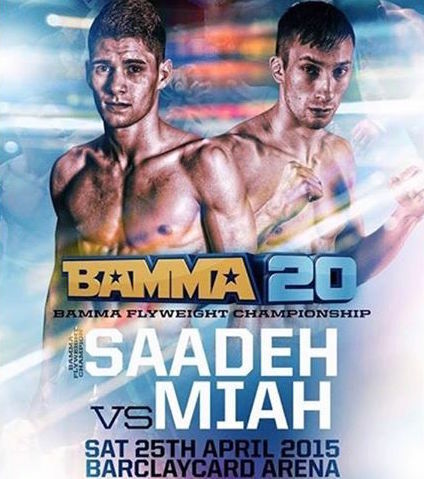 The next fight for PhuketTopTeam’s MMA fighter Rany Saadeh coming up on Saturday 25th April 2015. At just 21 years old Rany is the current BAMMA champion and one of the fastest rising Flyweight fighters in the world. Rany is looking to defend his title & once again make a claim for a ufc contract. Now he is working hard on his Jiu Jitsu at BJJ camp in Phuket. Have you registered for the biggest, most entertaining & unique BJJ & Submission grappling tournament in Asia? All of the Thailand Wrestling team will be there. Come and showcase your wrestling and Jiu Jitsu skills! Right here in Phuket, Thailand! Feb. 5th (Gi & No-Gi) + 1 big Submission Only Superfight to announce. Check out the Phuket Dreaming Season one Trailer. Full series is available on YouTube. The series features a lot of the PTT Wrestling Program under Eric Uresk. On location at Phuket Top Team. Derek’s wrestling style is tailor made for MMA. Phuket Top Team is leading the way for Wrestling in Thailand & South East Asia. The course will see a student sign a contract to enter the boot camp. The boot camp involves 16 Wrestling classes and 2 one on one private sessions with PTT’s Wrestling Coach. The course focuses on wrestling take downs basics & the basic fundamentals of teaching wrestling for MMA.